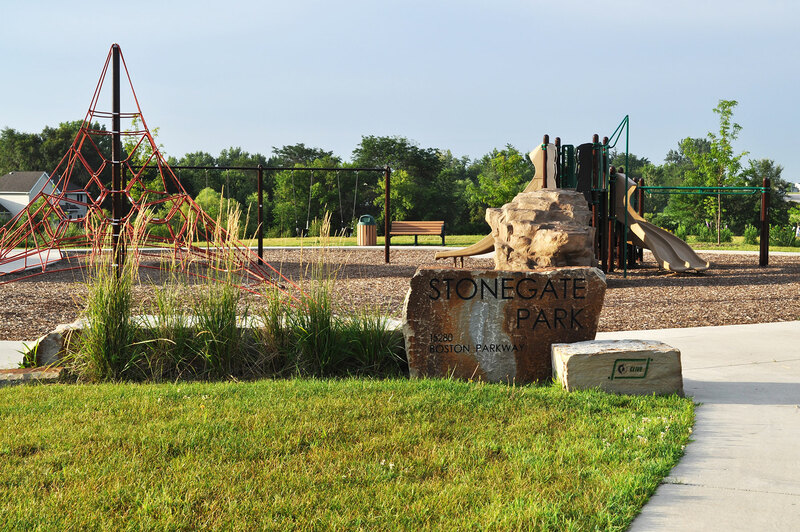 Stonegate Park is the capstone to a multi-year effort by the City of Clive to enhance its park and recreation system. 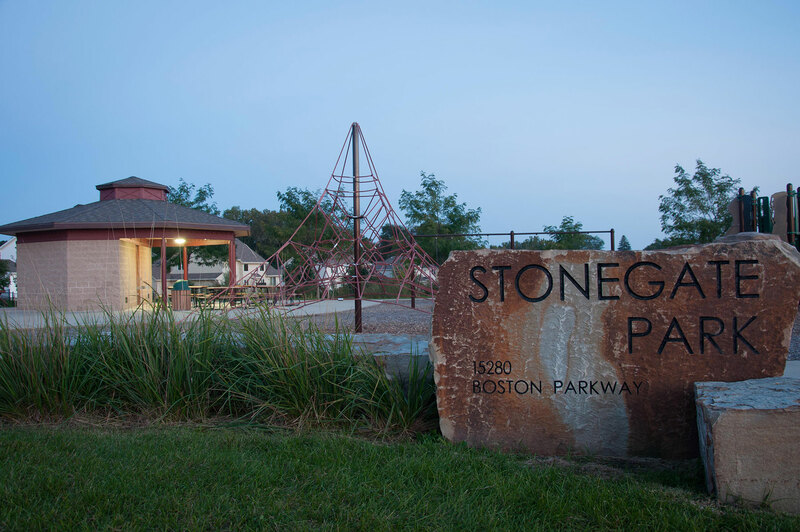 This neighborhood park is situated within a very active suburban community, committed to providing quality facilities for their residents. 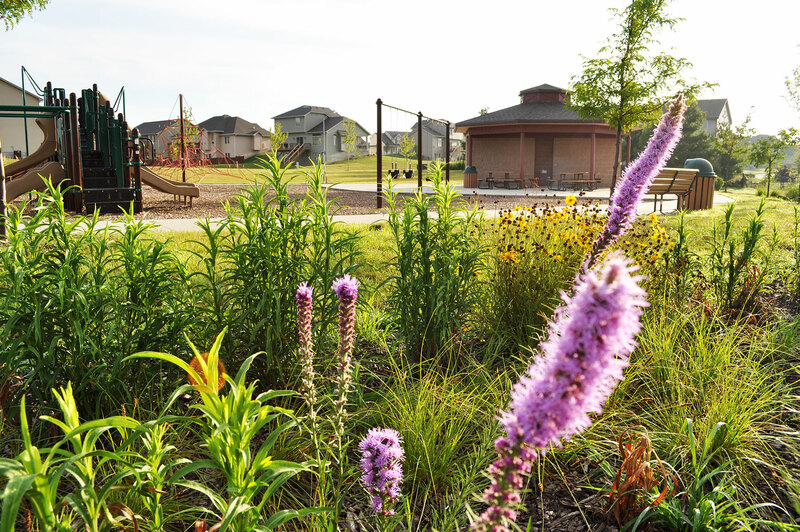 Unique and affordable detailing provides adventure play moments and enables opportunity for unique play experiences. 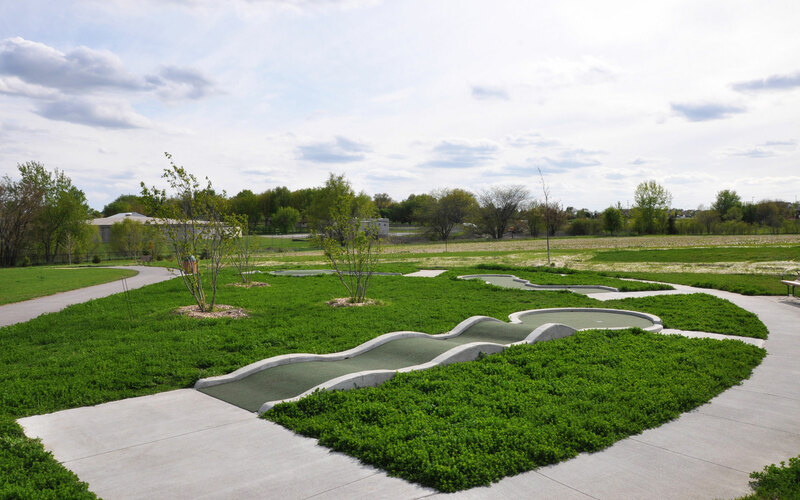 The four-acre neighborhood park features combined shelter and restroom, on-site parking, playground with focus on creative and adventure play opportunities, loop path system, full court basketball, performance stage, native plantings, tree groves, miniature golf and an athletic field. 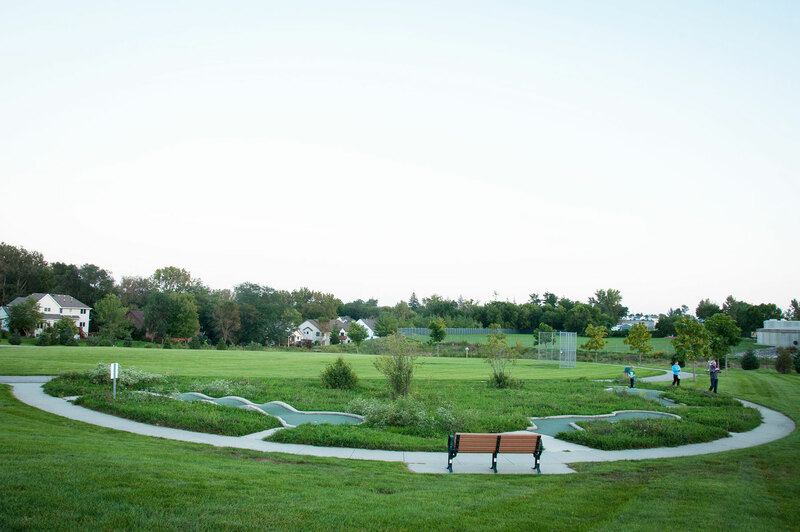 The site also features infiltration areas to mitigate water runoff across the site.